What are the biggest new features? What didn't Apple announce at the WWDC 2016 keynote? And how did it get to version 10 already? We've got answers. Apple TV hasn’t been a hobby for a while now, but this year’s WWDC keynote marked a major milestone in its maturity. For the first time since Apple’s streaming box was introduced back at Macworld Expo in 2007, Apple carved out some stage time for the next version of its big-screen operating system, and tvOS made the most of the opportunity. 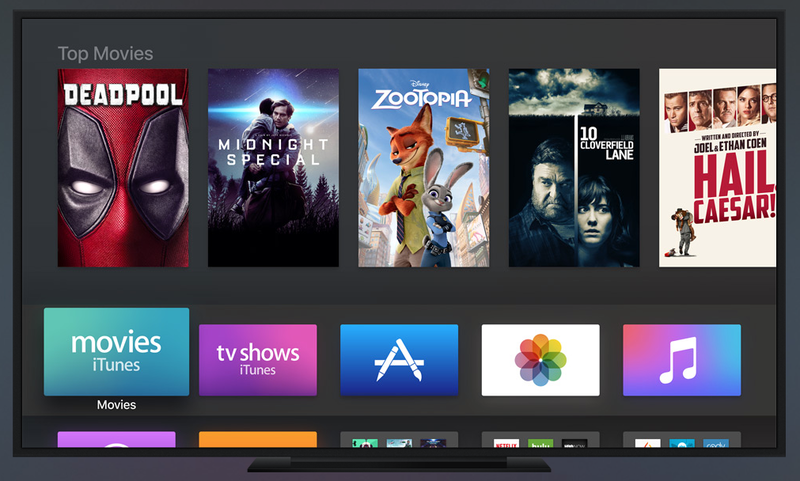 While it might not be the major leap forward that iOS 10 is, the new tvOS is an important step in Apple TV’s evolution that pushes Apple’s media streamer even closer to the future Apple is promising. Like iOS, macOS and watchOS, the new tvOS will be available this fall. Of course. Apple hasn’t charged for an OS update since Mountain Lion, and tvOS continues the free tradition. Is there a public beta? At the moment, tvOS is not part of Apple’s public beta program, so you’ll need to register as a developer (and pay the $99 yearly fee) if you want to try it out before the fall. Will I be able to install it on a third-generation Apple TV? Not without some serious hacking. 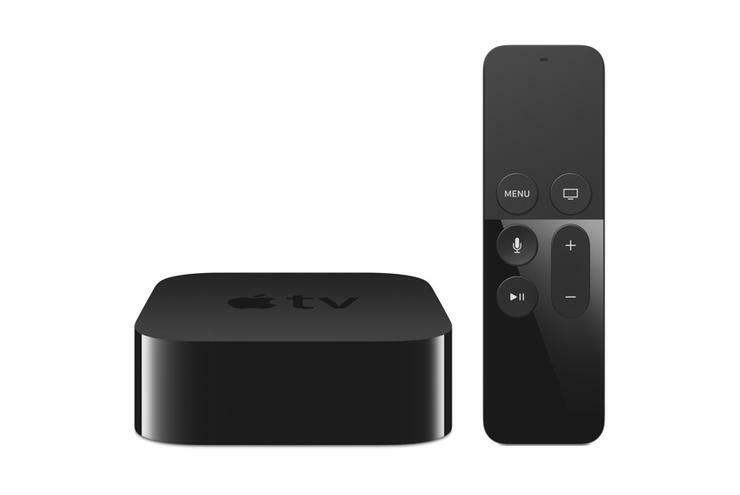 With the current fourth-generation Apple TV, Apple overhauled the whole experience, effectively obsoleting older models. While it’s possible Apple could port some tvOS 10 features to older models, it seems increasingly unlikely. Use the Siri Remote to control HomeKit devices in tvOS 10. Wait, how are we on version 10 already? Apple is playing fast and loose with the version numbering here. While this is technically the second version of tvOS, Apple is using Apple TV OS as a starting point, much like it did when iPhone OS was renamed iOS. But even with that, Apple still skipped over version 8, presumably to bring it in line with iOS—tvOS 9 launched around the same time as iOS 9, last fall. Does it enable 4K content? While the HDMI spec and A8 chip in the fourth-generation Apple TV can technically handle 4K streaming, Apple hasn’t unlocked the ability in tvOS 10 (or at least they haven’t told us). Did Eddy Cue wear a bright shirt? Is there a new Remote app? 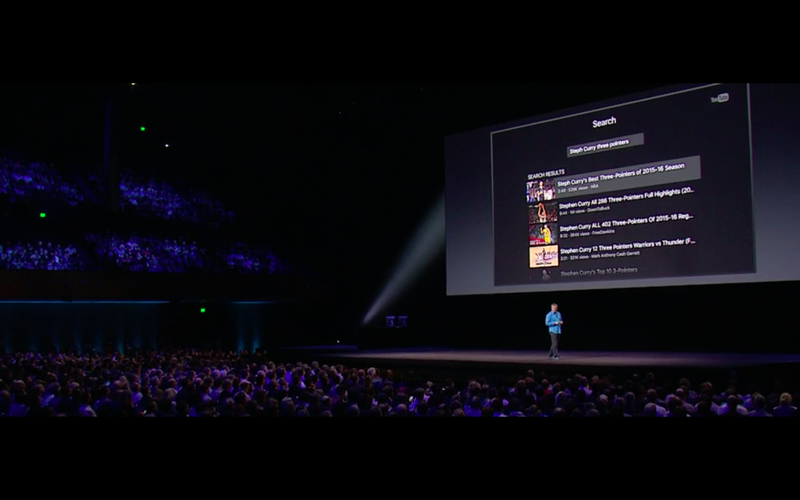 The new Siri Remote app adds more functions to the Remote app we have already, namely voice search and game control. There is! 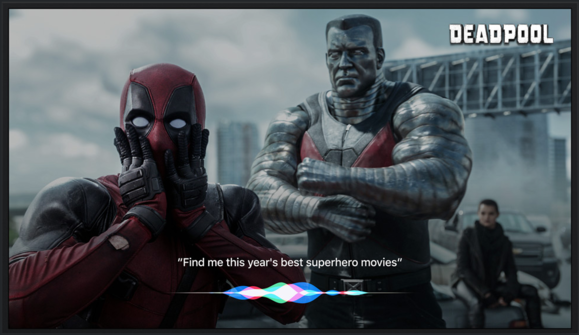 It’s a brand-new app built specifically for the fourth-generation Apple TV, and it mimics all the features of the hardware remote: Siri voice and typing support, dictation for entering usernames and passwords, accelerometer and gyroscope support for games, and of course, touch navigation. There’s even a cool Now Playing screen with controls, and a clever Game Mode, which lets you hold your iPhone in landscape mode and use it like a controller. 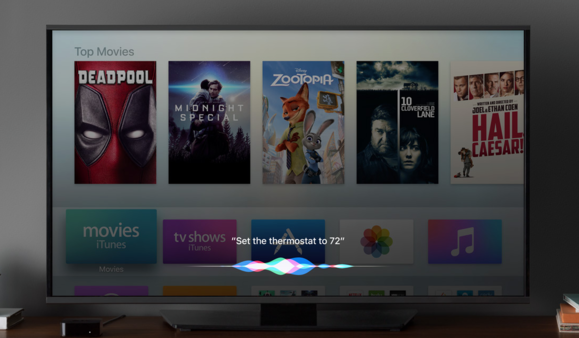 And tvOS 10 is improving Siri, right? You got it! Instead of asking for specific titles or actors’ names, Siri now understands topics, genres, and searches with multiple criteria. As Cue demonstrated, you can ask to “Find high school comedies from the 80s,” to bring up classics like Ferris Bueller’s Day Off and Sixteen Candles, but Siri’s movie smarts also extend to things like superhero movies and documentaries. Siri is getting better at finding you something to watch, even if you aren't sure exactly what you want. Does Siri work better with other apps? Cue demonstrated a couple new features for Siri integration with third-party apps. The coolest is the ability to dictate search queries to YouTube, but Siri can also jump straight to a live stream when you ask to watch an app that supports it, like ESPN or CBS. And finally, you can now control any HomeKit devices you may have just by asking Siri to change the thermostat or turn off the lights. Did Eddy work in a Golden State Warriors reference? Yup, during the Siri demo he searched YouTube for Steph Curry’s three-pointers. The Warriors wound up dropping Game 5 of the NBA Finals to the Cleveland Cavaliers over in Oakland later the same evening. His bright blue shirt wasn’t the exact shade of royal the Warriors use, but Eddy did give props to his favorite basketball team. Did Apple fix the annoying log-in process? They did–in a big way. No longer do you need to authenticate every app you download from the store. A new feature called single sign-on will make the process drop-dead simple. 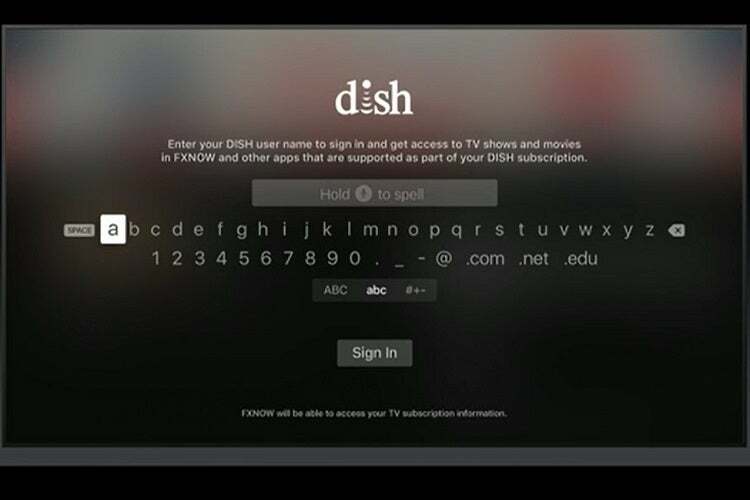 Just like Twitter or Facebook on iOS, you’ll only need to sign into your cable provider once in Settings, and it’ll send your credentials to every app that needs them. In fact, it’ll even show you a screen of all the video-streaming apps that support your provider’s credentials, so you can make sure you’re not missing out on anything. After you sign in with credentials from your cable/satellite provider, tvOS 10 will show you all the compatible apps and channels you can use. Eddie didn’t happen to mention an Amazon Video app, did he? Sadly, no. But he did show off cool new apps from Sling, Fox Sports, and Molotov TV. Any changes to the interface? It’s the same with one big exception: a new setting that turns the white background black. You mean there’s a dark mode?! There is! It should be handy for people who like to keep their home theaters as dark as possible, even when navigating menus. Dark Mode in tvOS 10. I love the automatic download feature on my iPhone and iPad. Any chance Apple extended it to tvOS? You’re in luck! With tvOS 10, when you buy an app on your iPhone that has an Apple TV companion, it will automatically show up on your Apple TV home screen. 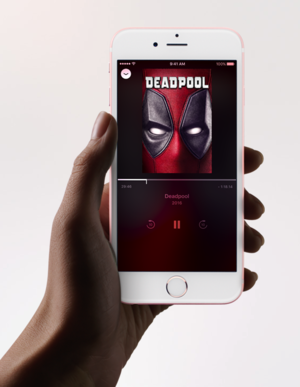 Are Apple Music and Photos redesigned to match the iOS versions? Absolutely. The bold, vision Music layout and simpler navigation of Apple Music is tailor-made for big screens, and Photos’ new Memories feature will let your favorite moments shine. 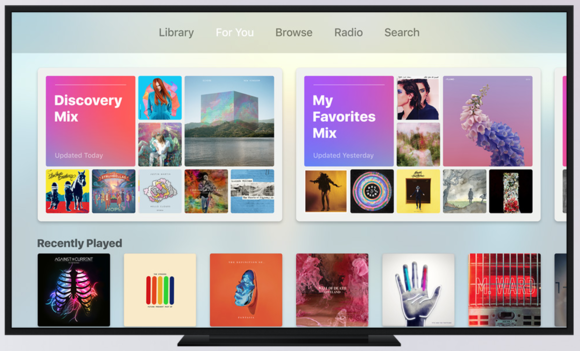 Apple Music in tvOS 10 (and an excellent example of how light the interface can be when you aren’t in Dark Mode). What new tools did developers get? 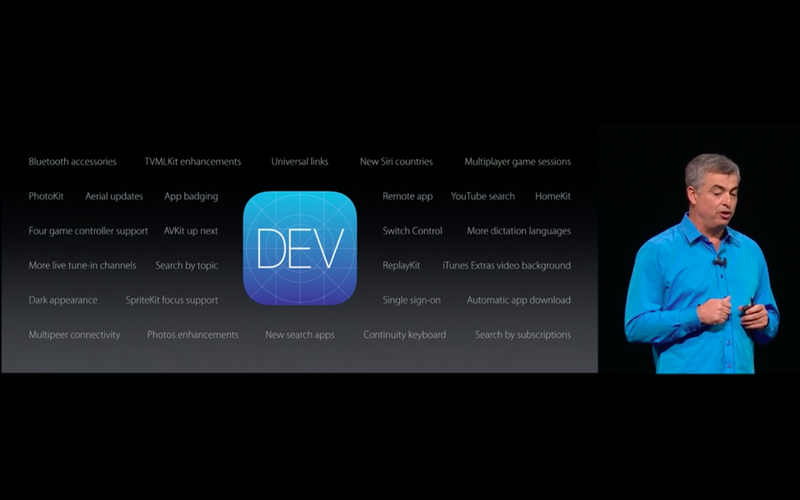 Can't wait to see what the developer community makes out of all of that. Anything special for game developers? Yes. Developers now have a choice to require a separate controller for Apple TV games, which will inevitably lead to more robust, console-caliber gameplay. Previously, they had to provide at least some functionality for the Siri Remote, which has accelerometer control and limited buttons. Got more tvOS 10 or Apple TV questions? Let us know in the comments, and we’ll do our best to find out the answers.